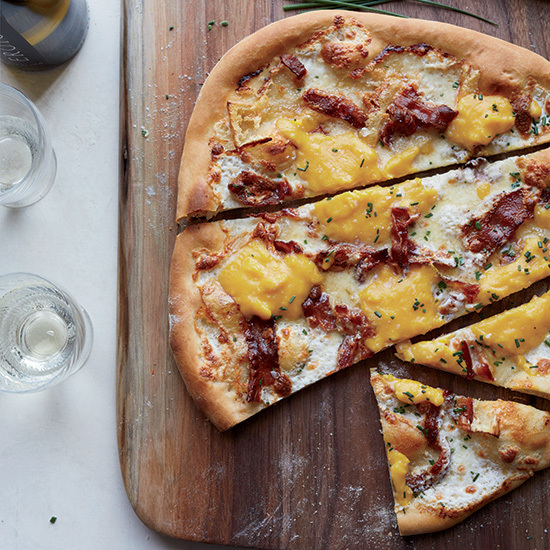 Go way beyond the usual mushrooms and pepperoni by trying these inspired pizza toppings. 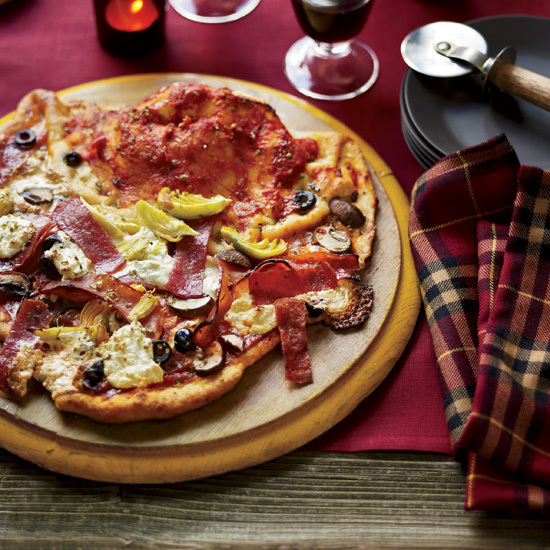 The real surprise with this pizza, topped with the works—artichokes, ham, ricotta and salami—is that part of it is folded over to form a calzone while the rest is left open-faced. 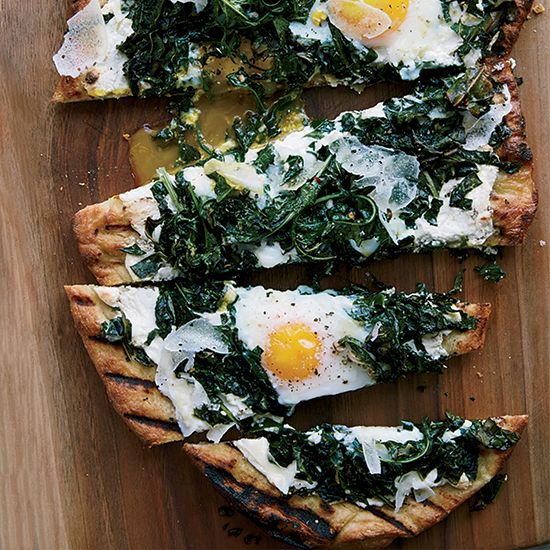 Pizzas crowned with a sunny-side-up egg have become a new classic. But this one—topped with crisp bacon, crème fraîche, brie and mozzarella—has custardy scrambled eggs added for the last two minutes of baking. Brunch perfection. 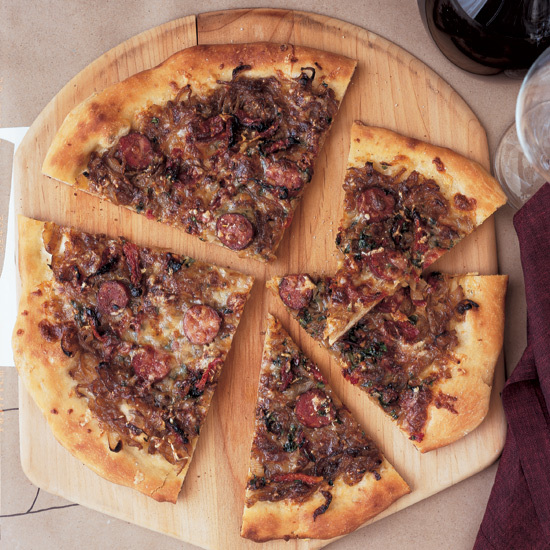 A mix of deeply flavorful caramelized onion and sun-dried tomatoes act as the sauce for this sausage-topped pizza. 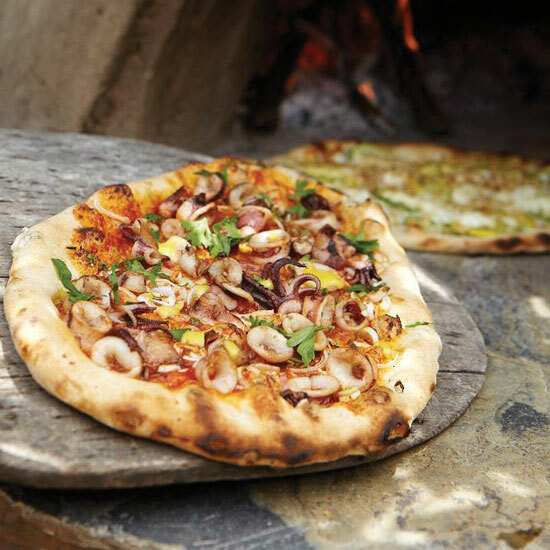 With salty-sweet roasted squid, creamy aioli, diced tomatoes and crushed red pepper, this pizza will instantly transport you to Provence. 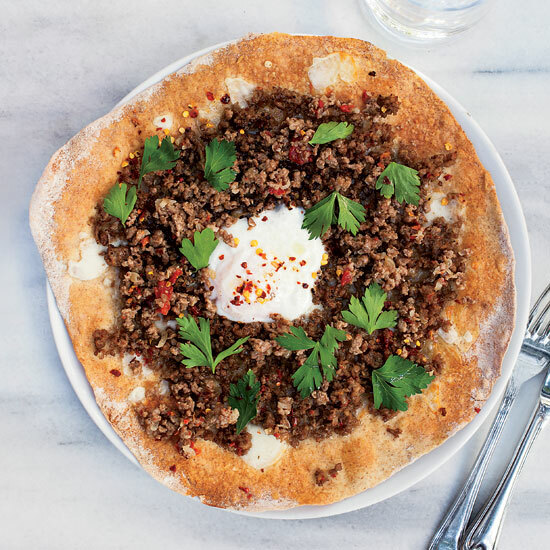 Make pizza Turkish-style and top it with a fragrant and flavorful ground lamb mixture. 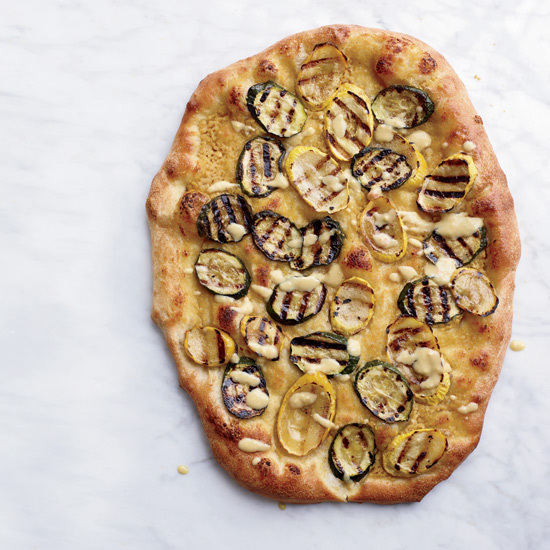 The garlicky chickpea dip is spread over pizza dough for an unusual (and incredibly healthy) sauce. 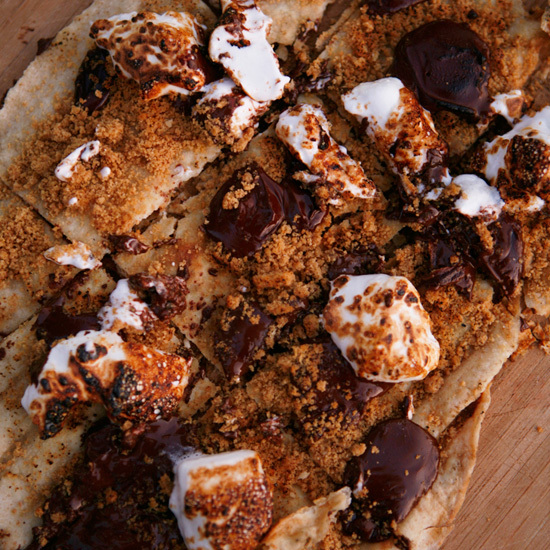 Yep, even pizza gets the s’mores treatment. Sprinkle dough with graham cracker crumbs, broken pieces of chocolate and mini marshmallows, and bake until marshmallows brown. Kristin Donnelly is a former Food & Wine editor and author of The Modern Potluck (Clarkson Potter, 2016) and the blog Eat Better, Drink Better. She is also the cofounder of Stewart & Claire, an all-natural line of lip balms made in Brooklyn.